A racing game inspired by the cult cycle Burnout. At Dangerous Driving, we compete on dozens of different routes, eliminating opponents and causing spectacular crashes. 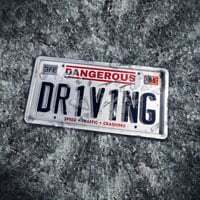 Dangerous Driving is a racing game developed by the independent Three Fields Entertainment team. The company, which belongs to the founders of Criterion Games studio, i.e. Fiona Sperry and Aleks Ward, has in its portfolio such productions as Danger Zone series or Dangerous Golf game. This time we are dealing with the spiritual successor of the cult series Burnout. At Dangerous Driving, players are provided with a wide range of fictitious sports cars that crash on dozens of tracks located in seven different regions. The driving model is purely dexterity, so that during the game we flutter in front of each other with enormous speed and take turns in spectacular slides. Unlike most racing games, crossing the finish line in the first place does not always guarantee success. In Takedown competitions we have to eliminate the opponents, while in Boost Chain championships we have to take care of the highest possible level of afterburner (loaded by "takedown" or during spectacular drifts). There is also the Eliminator mode, where we try to eliminate the whole competition (won by the competitor whose car is the last to remain in one piece), and the Pursuit Mode, where we play the guardian of the law of law and order on the roads. As we progress, not only do we get access to better and better cars, but we also gain new skills to increase our chances of winning. Dangerous Driving allows you to play on your own as well as multiplayer online gameplay, accompanied by up to seven players. Dangerous Driving has high quality 3D graphics. The most popular is the advanced model of the destruction of cars during races. Attention is also drawn to the refined environment.